Shelley’s classes focus on full, embodied movement exploring many challenges in strength, agility and cardio vascular. The style is a fusion of many contemporary techniques including Cunningham, Graham and Release practises - all infused with Shelley’s stylistic quality. The energy is fun, positive and engaging yet technically charged with an attention to dynamics, musicality and detail. SHELLEY EVA HADEN is a nominee for ‘Most Outstanding Female Performer’ of 2017 by The National Dance Awards, Critics Circle. Shelley trained at The Northern School of Contemporary Dance, graduating with a First Class BA (Hons) Degree in Contemporary Dance Performance. Upon graduation Shelley achieved outstanding results becoming one of the first students in the history of the school to gain 100% on the Final Years Solo Choreography Assessment. Shelley’s choreography ‘Silver Shelter’ is now part of the school repertoire for students to study and perform as part of their ‘Performance Practice Module’. Shelley has performed with companies and choreographers such as Trash Dolly’s Dance Theatre, Slung Low, Zoobin Surty, Balbir Singh, Gary Clarke and Tamsin Fitzgerald. 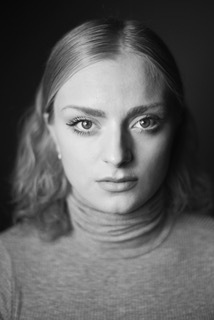 Most recently Shelley has worked alongside Rosie Kay Dance Company on a number of productions including 5 Soldiers, Double Points: K, Motel, and MK ULTRA (2014 - 2017). Furthermore, Shelley has a strong interest in teaching, creating and sharing. She has a vast amount of experience with in the participatory setting working with organisations such as Birmingham Royal Ballet, DanceXchange, Centre For Advanced Training (Leeds, London and Birmingham) and various other national institutes and companies. Shelley continues to create her own work and is currently working on various commissions alongside her Arts Council Funded Research and Development; a collaboration in Fashion, Sound and Dance with Henri Oguike due to commence in the new year (2018)! Shelley is committed and focused on catapulting Professional Dance Training with in the Midlands and is particularly interested in providing opportunity and support for Females within the sector.